A report on a killing in Iraq that is currently under investigation by the US military -- was a man killed during a raid near Baghdad executed by a Special Ops team or was he killed as he attacked the soldiers? The piece is mostly voice-over only, although Michael provides wrappers filmed in an unidentified studio. Note: this piece carries a graphic-footage warning. iReports: "...really was an honor to witness." 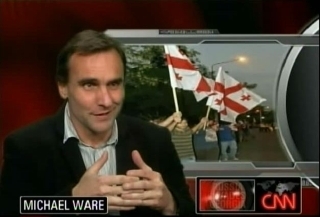 CNN ran a year-end special on the 2008 crop of iReports, and it included a very brief clip of Michael talking about covering the war in Georgia. This is a remarkable prepared piece that has not yet aired on Domestic, although it was in "heavy rotation" on International and also posted at CNN.com -- a reality check about the war that P-E Obama is inheriting from the Bush administration, one that will involve less combat action but far more clandestine fighting between the US and Iran over ultimate control of Iraq. 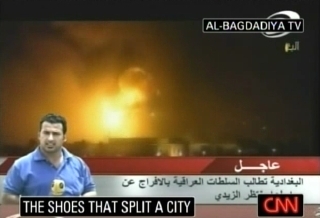 NR: "In the blink of an eye, one Iraqi journalist both divided and united his country." A voice-over only piece that shows local Iraqi reaction to the reporter's gesture and the reaction from the Iraqi government. 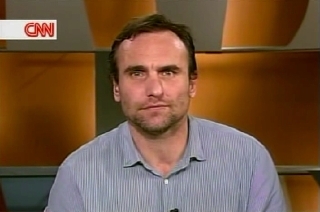 AAM: "This guy obviously had become pretty disenchanted. 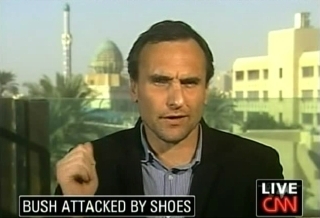 That, unfortunately, is not uncommon here in Iraq." 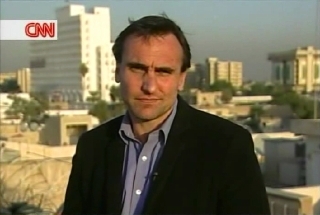 Michael updates the current status of the Iraqi journalist as well as the reactions from the Iraqi people.